This is certainly a much better idea than a message that self-destructs after you read it (we’re looking at you, Inspector Gadget). Researchers at the University of Connecticut were inspired by the skins of squids and jellyfish, which can change color or texture in response to certain factors in their surroundings. In a move that would make Q from the James Bond series blush, the scientists—who presented their findings at the 52nd National Meeting & Exposition of the American Chemical Society on Sunday, said they’ve replicated the properties of skin in a thin film that can be used to encrypt secret messages or create anti-glare surfaces. When exposed to moisture, its properties can change, thereby revealing things that weren’t there before. It comes down to wrinkling. Jellyfish skin, for example, doesn’t prune up in water like human skin does. 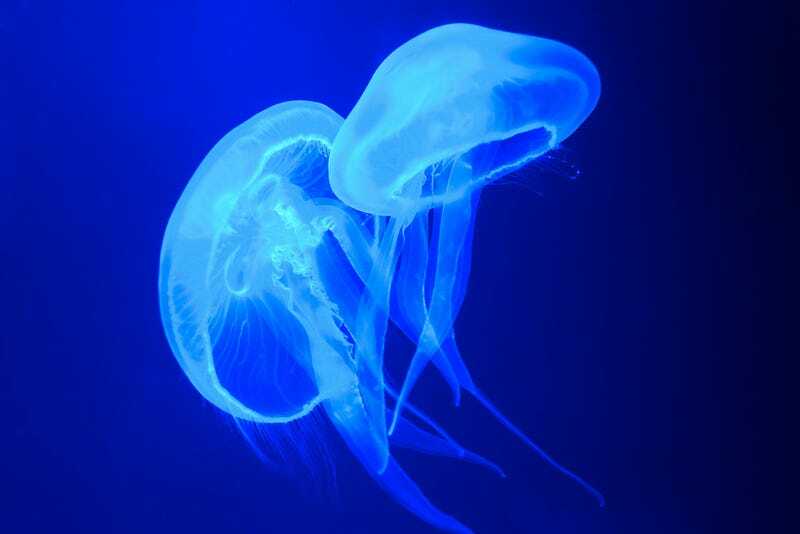 Instead, jellyfish skin can wrinkle and become opaque when they want to scare off predators. When squid are in the presence of danger, their muscles contract, exposing colored pigments that can serve as camouflage. “That same surface is transparent when it’s flat,” said graduate student Songshan Zeng, who worked on the project. “Like finger skin, whenever part of the film is exposed to moisture, it swells slightly, generating wrinkles,” said Luyi Sun, Ph.D., who led the research. Skin was replicated by placing a thin film of polyvinyl alcohol on a rubbery base of polydimethylsiloxane (PDMS). If it was wrinkled, for example, it would be opaque. When it was flattened out or if moisture was added, it would become transparent and expose a message. Researchers added that the degree of crosslinking between polymer chains in the film could indicate whether the wrinkling was reversible. When there’s little or no crosslinking, it can only be smoothed out once, which can “self-destruct” a message after reading. In videos uploaded by the university, the materials have a lot of applications. They can change transparency, color, and reveal text that wasn’t there before. With this, plus the invention of a liquid that can repair clothing that has its roots in squid eyes, we might want to adopt the squid as our website mascot. Edit: A quote originally attributed to Songshan Zeng was actually stated by Luyi Sun.